An effort to drastically reduce the number of plastic shopping bags used in San Diego was made moot Tuesday when Gov. Jerry Brown signed a statewide ban of the wispy sacks. “With the passage of the state law, there’s no longer a need for the city to take action on this,” said Councilwoman Sherri Lightner, the chief proponent of a local ban. She said the legislation signed into law by the governor was “almost identical” to what she wanted in San Diego. The city should continue with outreach to the public to educate residents on reusable shopping bags, she said. 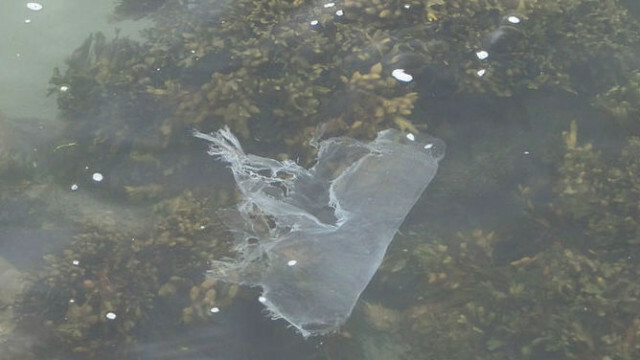 Environmentalists who support the ban say the bags are among the top forms of litter they collect in clean-up events, and are harmful to marine life. The new state law prohibits grocery stores and pharmacies from distributing the bags beginning July 1, 2015, with the ban extending to convenience and liquor stores the following July. The law also makes $2 million in loans available to plastic-bag businesses to help them transition to the manufacture of reusable bags. Plastic bag manufacturers have blasted efforts to ban the product, saying it would lead to massive job losses in the industry. A co-author of the legislation, Sen. Alex Padilla, D-Pacoima, said the inclusion of loan funds for businesses to convert to the manufacture of reusable bags would help address their concerns. San Diego Mayor Kevin Faulconer recently came under criticism for moving slowly on an environmental study for Lightner’s proposed local ordinance. He released a statement that said he deferred the study until the Legislature and governor took action because it would have been costly for the city in staff time and money. The city will take steps to come into compliance with the state law, the mayor said.